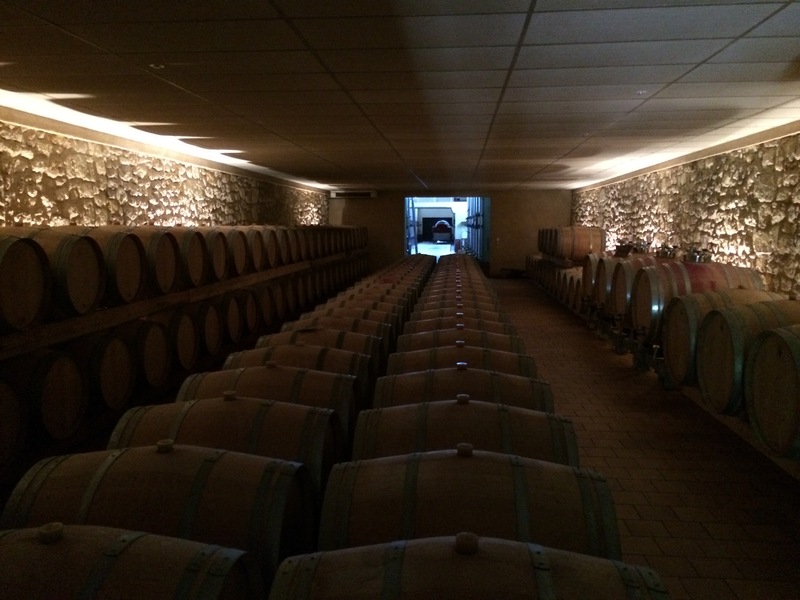 We arranged a visit to Chateau Guibeau (LINK) through a friend who is doing academic research on the vineyard and winery. After some pleasant email exchanges with Brigitte Destouet Bourlon and her husband, Eric, the co-owners, we visited last Thursday. Eric focuses on the vineyards, Brigitte on the marketing, and they collaborate on the wine making. 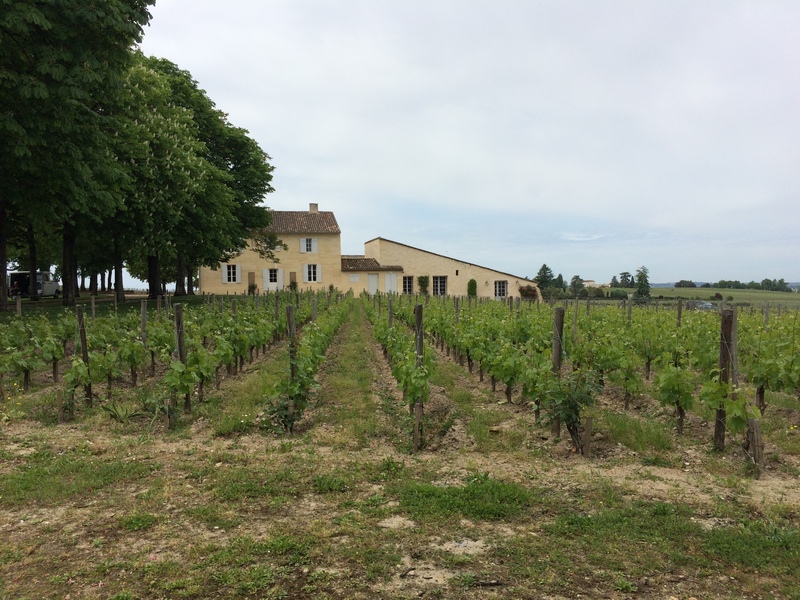 The vineyard is actually the combination of properties of two families united in marriage a couple of generations ago, Chateau Guibeau and Guibot The Fourvieille. Wines are made under both labels today. Located in the St. Emilion (LINK), area, the property and its chateau overlook a beautiful valley and Puisseguin, the village below. 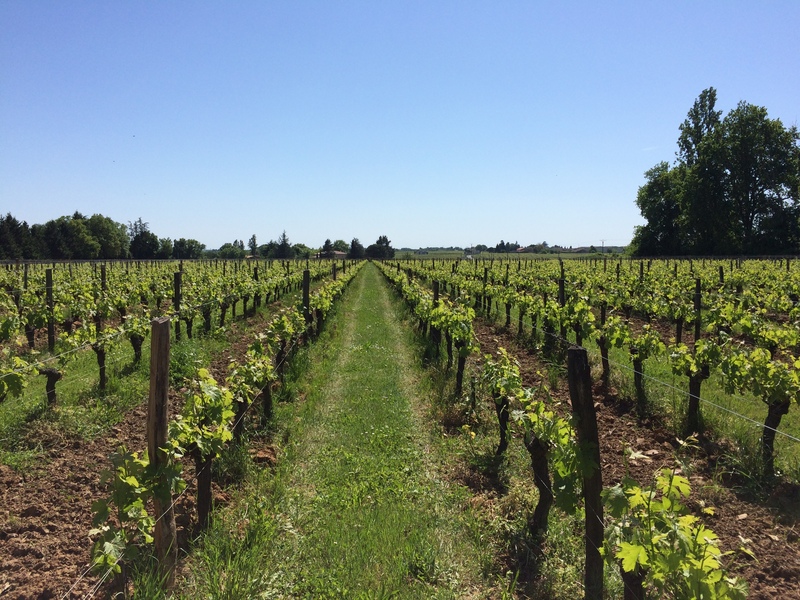 The vineyard of 41 hectares (101 acres), planted with Merlot (75%), Cabernet Franc and Cabernet Sauvignon is located in the town of Puisseguin (LINK), in the Bordeaux Region. 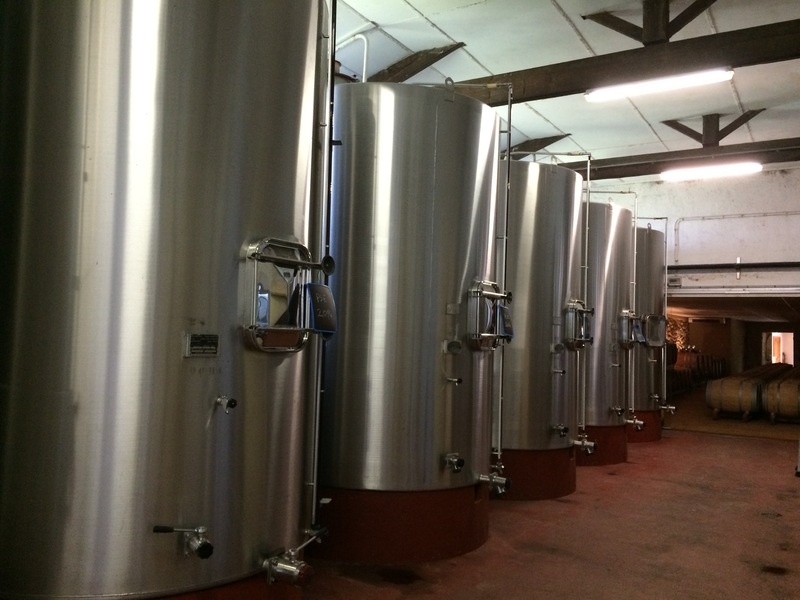 We walked around the beautiful grounds, toured the barrel room and the wine making areas, with the vast fermentation vats, did some tasting, then got a tour of the vineyard with Eric. They have been converting to a fully-organic vineyard over the past five years, and have their first vintages under that regimen produced. 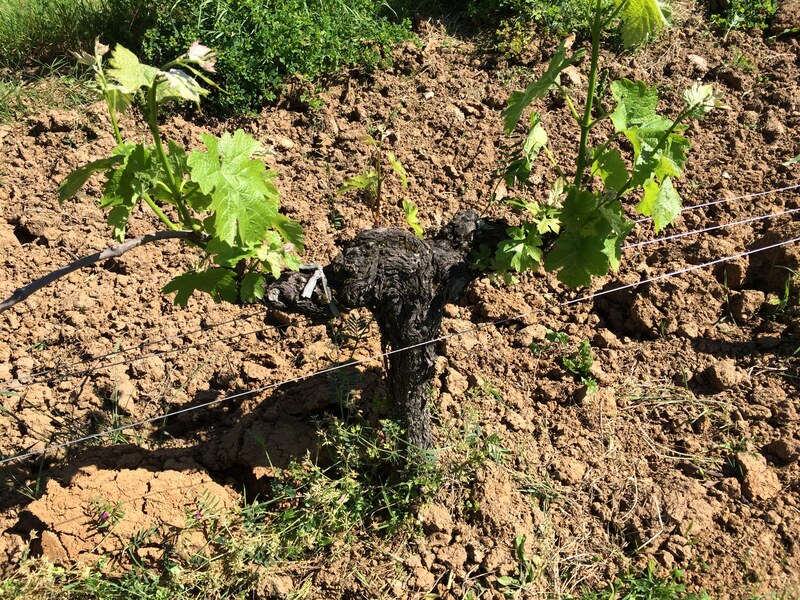 This required quite a bit more work for them in the vineyards, but they feel that it is worth it for environmental and health reasons. A special barrel design to aid in-barrel fermentation. This one is Merlot. 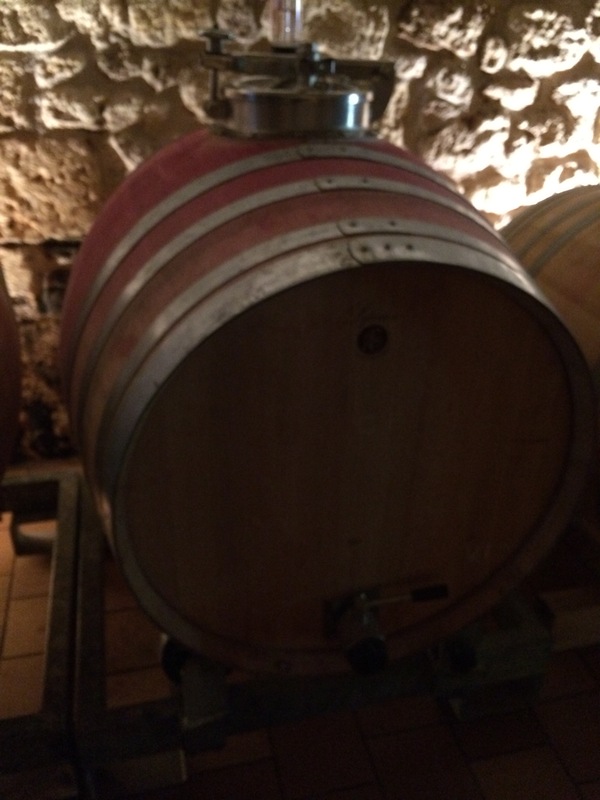 The wines that they produce at the Chateau are all reds – mostly Merlot, as it the case with most Right Bank producers in Bordeaux. The blends vary from year to year, but normally have at least 70% Merlot with lesser amounts of Cabernet Franc and Cabernet Sauvignon. 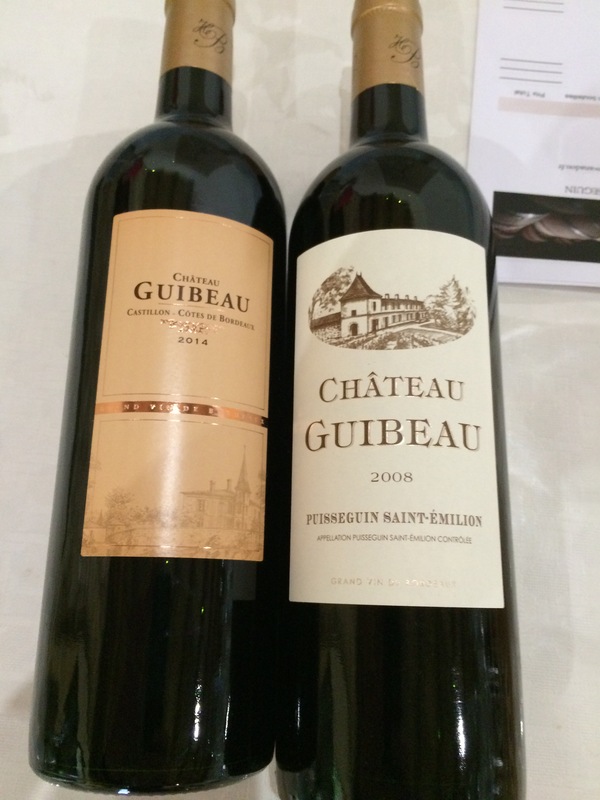 Their 2012 Chateau Guibeau (LINK) blend is 80-10-10. 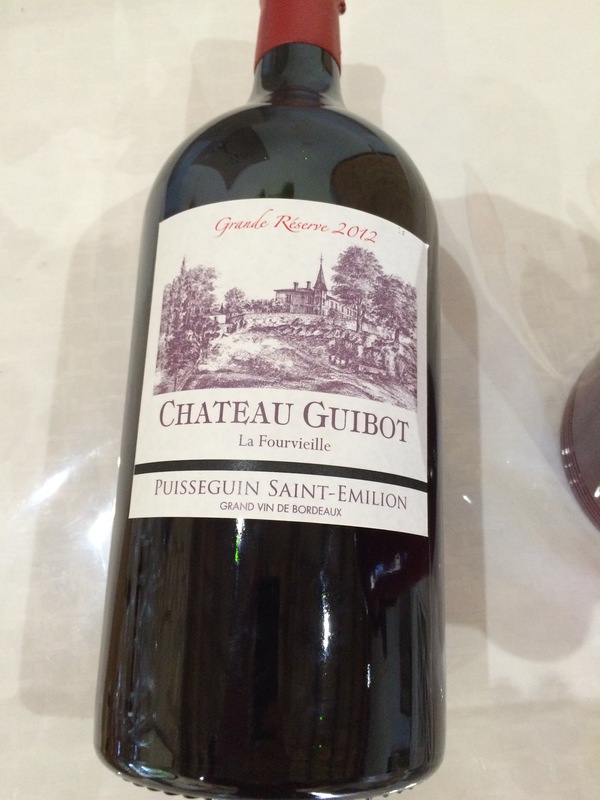 The Chateau Gibeau that we tasted, the 2012, shows great promise – it has a good balance, moderate tannins, a nice sense of dark fruit and a hint of minerality. It should improve with age. 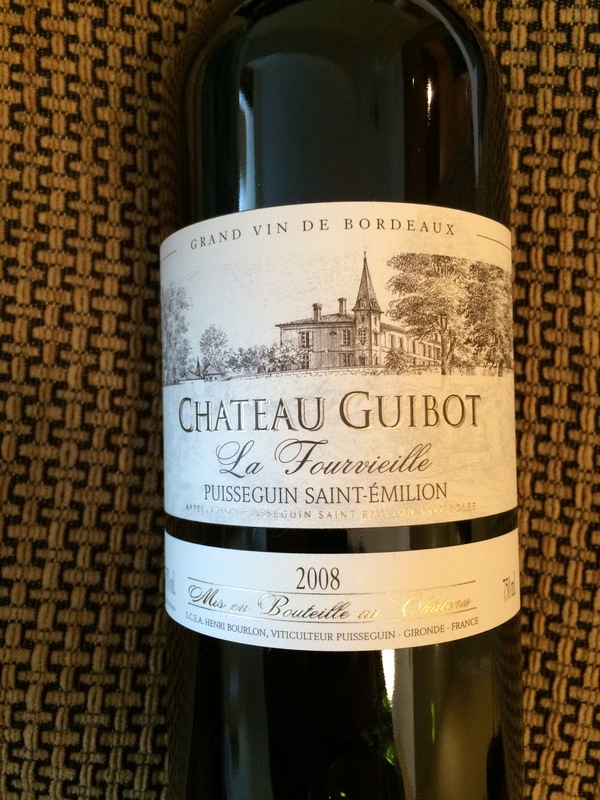 The 2008 Chateau Guibot La Fourvielle Puisseguin Saint-Emilion (LINK) was a revelation. This 85% Merlot, 15% Cabernet Franc beauty is rich with dark fruit, moderate tannins and acidity, and an underlying minerality that strikes both the nose and the palate in a very nice way. This wine should age well, but is ready to drink now. We bought several bottles to bring to the states, but two have disappeared so far on our journey home. Jim and Brigitte Destouet Bourlon in the Chateau Guilbeau tasting room. 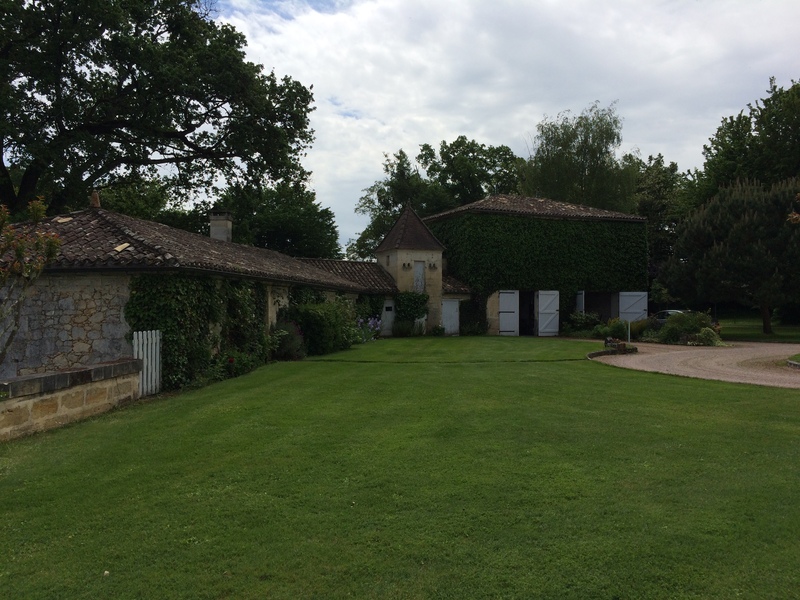 There is also a guest house to rent on the Chateau property – here is the (LINK). 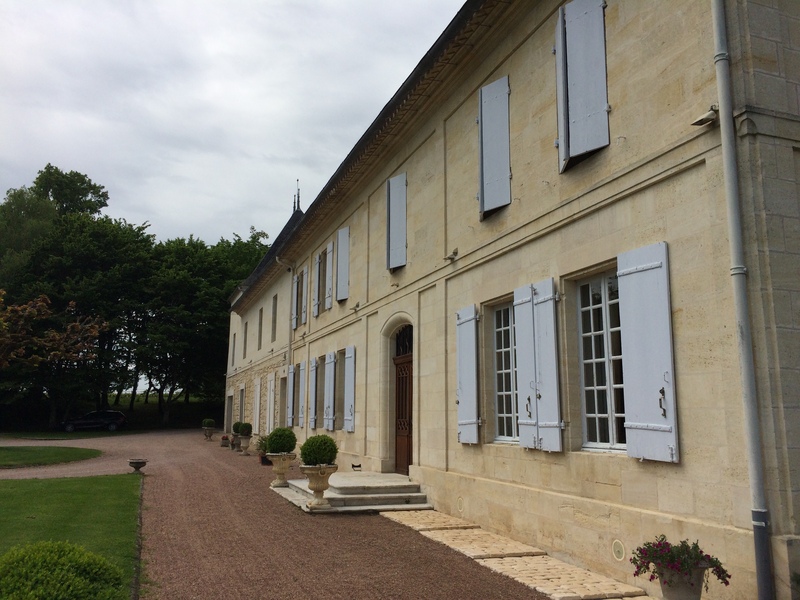 This is a very good house, doing very good things – look for their wines and visit when you are in Bordeaux.